A few months back, I facilitated a session with Goetz in Accra, Ghana, at the TFA 2020 conference, on rural sustainability initiatives that will scale. It was a fascinating 45 minutes or so, and his company, *Golden-Agri Resources, seems to me to be leading the way, with a few others, in this area. The evolution in the last five years in particular has been transformational, at least for the companies involved. For rural communities in places such as Indonesia, it will take a little longer than that. So recently I sent Goetz five questions about their work in this important area. Here they are below, with his replies. First, the business case. When investors or board members ask you why the company wants to invest in sustainable rural communities in oil palm, what’s your response today? “Communities play a vital role in rural socio-economic development and environmental protection in emerging countries. 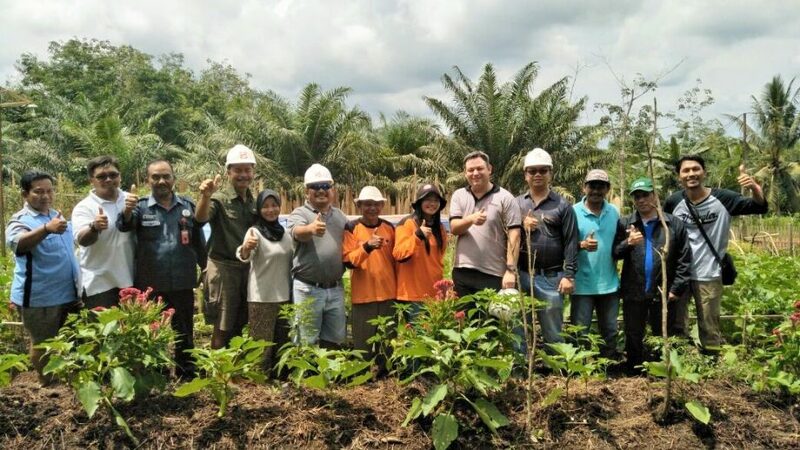 Both, socio-economic development and environmental protection are critical for responsible agribusiness companies such as GAR. Secondly, the evolution of approaches. Can you paint a picture of where you were five years ago and where you are today in terms of approaches? How much more mature and sophisticated is what you are doing now, compared to then? “Five years ago, GAR like most plantation companies, did not have a structured approach for value generation and livelihood development of their neighbouring communities. The focus was mainly on charity and the provision of (in most cases) important infrastructure development; schools, clinics, and places for worship. Thirdly, let’s talk about models that may scale and barriers. I’ve seen some impressive presentations from GAR on models that may scale. Please describe one of these and what it can/has/might achieve that’s sustainable and scalable. 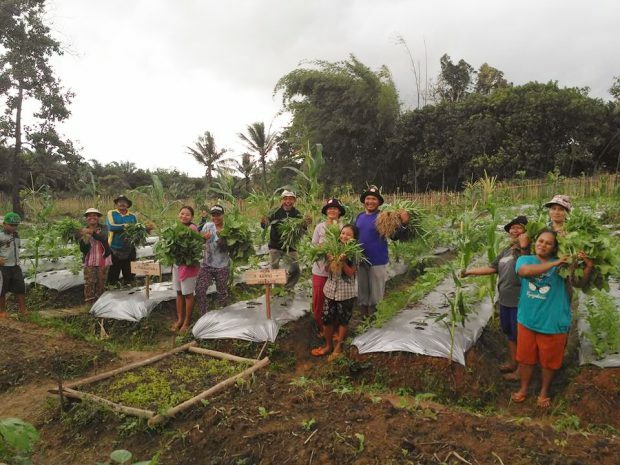 “GAR has developed an organic farming programme called Integrated Ecological Farming, which is rolled out across a large number of communities. It is used as a tool to “compensate” for conservation commitments made by the company which reduces land available for farming, to reduce the threat of local communities using non-sustainable farming techniques, to achieve and sustain food security in the long term and to create additional income. Each project starts with market assessments and needs assessments. These assessments look at what are the present products in the village and what the gaps are to achieve a well-rounded and balance diet and nutrition. The market assessment looks into demand in local and regional markets but also explores options for national and even international marketing. The decision on which crops/products the community will focus on in the livelihood projects is made jointly in public consultation. After the decision is made, one small demo plot of less than one ha in size is established to demonstrate on how farmers can replicate the approach close to their homes and how the different produce fit together. For example, how to make organic fertiliser from waste biomass and the excrements of goats, cattle or pigs. In year two, the approach will be replicated in land parcels close to the members of the farmer group. In year three, the legal foundation for joint procurement and marketing and transport of the ready produce is set up and the communities will take full ownership of the programme. As of now, GAR supports the Integrated Ecological Farming programmes in more than 40 villages with produce ranging from fruits and vegetables to maggots for Irwana fish breeders and Moringa leaves to produce food additives. Fourthly, opportunities. Better mixed livelihoods, improved household incomes, better access to finance, education, nutrition, healthcare, and employment are well-known benefits of better functioning rural communities. Are there further opportunities for GAR given these are long-term challenges and not cost-free? “One area in which GAR is expanding its support to rural communities is to play the role of the incubator to social businesses. One way we are doing this is through Community Learning Centres (CLC) which offer education programmes, enabling community members to run their own businesses. We are also working to identify promising ‘start-up’ companies that we can provide initial funding to, enabling them to overcome challenges of bankability – a challenge faced by entire communities. In respect of livelihood development, it is of critical importance for these communities to produce products which are marketable and then to get these products to market. Companies such as GAR, and even more so the FMCG companies that are customers of GAR, can help these communities to find opportunities to market and sell their products. Finally, the future. Crystal ball time: What will a model sustainable rural community look like by 2030? Surely the landscape approach must be a factor here, given you don’t want islands of excellence in your projects/concessions surrounded by less successful villages and communities. So how will current approaches evolve to factor this in by 2030? “A model rural community will be one which has secure land tenure and an agreed on and well-balanced land use plan. This will ensure sufficient room for maintaining High Conservation Value (HCV) areas and conserving High Carbon Stock (HCS) forests without compromising rural livelihoods. The rural community needs to be a place which provides income opportunities for the next generation and better-educated community members. These will be the future protectors of this land. The plantation industry plays an important role in creating these opportunities. In this not-so-distant future, companies will certainly have a preference to work with communities in close proximity to their existing operations. All companies have limits to what they can do, so multi-stakeholder approaches will be needed to adequately support local communities. 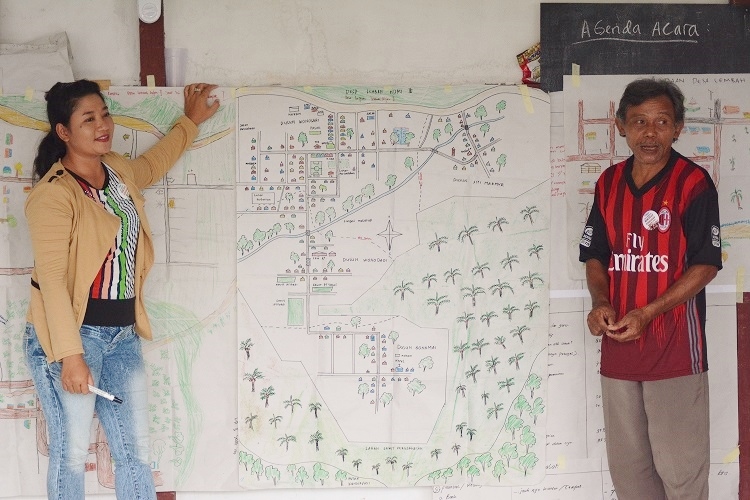 http://What will a sustainable rural community look like in 2030? *Our thanks go to Golden-Agri Resources for their financial support, via sponsorship, of our landscapes conference above, taking place in a few weeks time.